Coming off the Dodgers series, there are 13 games left in the season. I think the best way to get the team ready for the playoffs is to manage like they’ve already begun. The first priority is health. 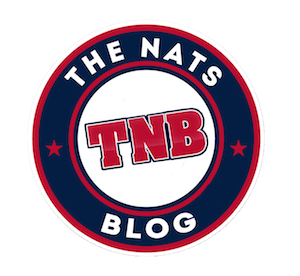 Play the guys coming off injury (Jayson Werth, Trea Turner, Michael Taylor, and eventually (hopefully) Bryce Harper), and give the guys who’ve been playing every day the occasional day off. And then pinch-hit, pinch-run, and defensively substitute like you would in October. Set the lineup based on the team’s health, then use whatever bench and bullpen options you have that day to win the game. Make the games matter to keep the team sharp. It’s also a great way to sort out the bench and back of the bullpen to pinpoint the most effective playoff roster. Optimistically, the top four outfielders will be Harper, Taylor, Howie Kendrick, and Werth. 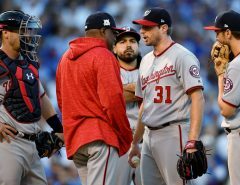 Five infielders, Ryan Zimmerman, Daniel Murphy, Turner, Anthony Rendon, Wilmer Difo, and Adam Lind, plus the two catchers, Matt Wieters and Jose Lobaton, give the team 11 position players who are locks to make the playoff roster. I think the team should carry all five starters, with Edwin Jackson available as a long man out of the ‘pen. His last two outings were ugly but he would give the team a true long-man. The three new guys (Sean Doolittle, Ryan Madson, Brandon Kintzler) plus Matt Albers are locks. Oliver Perez has been good facing one left-hander hitter at a time, so I think he makes it too. That’s 10 pitchers. Enny Romero is the best of the remaining options so I’d add him and go with an 11-man pitching staff. You can’t really trust Shawn Kelley, Joe Blanton, Matt Grace, or Sammy Solis in a big spot, so if you’re not going to use them, why carry them? I’d rather give the last three roster spots to position players that might be useful. The bench guys have been playing a lot due to the injuries, so they need to get acclimated to coming off the bench. Difo and Lind will get starts when you rest Murphy, Zimmerman, or Rendon, so that will help transition them back into part-time roles. Then let the speed and defense guys do their thing. The speed and defense guys being three rookies and a no-account drifter. Let’s see if these guys can hold up in big situations. 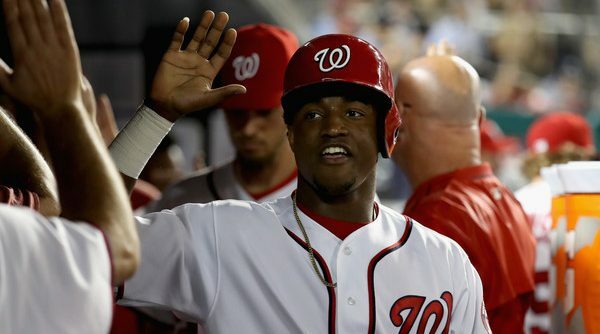 Can Victor Robles steal a base when the whole stadium knows he’s going to try? Can he make big plays in the outfield in place of Werth or Kendrick? Can he hold his own? Or at least as much as the other uninspired options? I think he can. 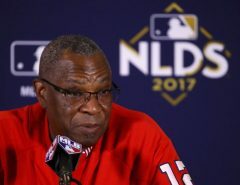 Of the four outfield options remaining, only Andrew Stephenson and Robles have elite speed. De Aza has experience but is a journeyman for a reason. I’d rather have somebody that can give me a big upgrade in the field and steal a base when I need it. So I’d put Stephenson, and especially Robles, in as many of those situations as I could in the last 13 games. The Dodgers series provided a great opportunity to throw Robles into the fire to see if he survives. If both hold their own, I put both on the postseason roster. I’d take Adrian Sanchez as an infield defensive specialist if Robles shows he’s not ready. For the last spot, I’d go with a third catcher in Pedro Severino. He too is a defensive upgrade off the bench and a third catcher gives you the option to pinch-hit or pinch-run for Wieters, if ever necessary. The Dodgers series was a nice way to get the team back into the groove after the inevitable letdown that comes with clinching the division so early. Managing aggressively from here on out is the best way to prepare for October and set the best possible playoff roster. Managing aggressively and playing Robles. With all those relievers, there’s no need for a fifth-starter-as-long-man. Grace can do it, or Roark. *IF* EJax figures out what he’s doing wrong, *and* has 2 good starts, *and* wants to pitch in relief, I’ll think about it. That’s 3 lefties, 3 closers, and lots of power. the diamond at the bottom was a line of text that I must have screwed up. Anyway, last bench spot goes to Robles if he looks like he can get a few hits over the next few weeks, or Stevenson if not.